John Gay was born in Barnstaple, Devon, England on June 30, 1685. At the age of 10, Gay was orphaned and his uncle, the Reverend John Hammer, agreed to take care of him. After finishing his education at the Barnstable Grammar School, Gay went to London to be an apprentice to a silk merchant. 1 Disliking the work, Gay left the merchant to work briefly for Arthur Hill, who became manager of a theater company. In 1712, in his late twenties, Gay was a secretary to the Duchess of Monmouth. He also worked as a secretary to Lord Clarendon. 2 During his time in London, Gay established relationships with Londoners and became a part of the city society. Read more on the musical scene in England. Although Gay wrote numerous poems and plays, his ballad opera The Beggar's Opera was certainly his greatest success and his most important contribution. 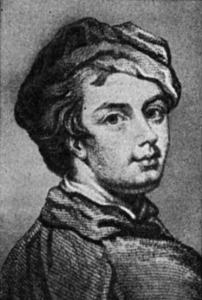 John Gay is credited with the first success of the ballad opera genre. Although many scholars believe his ballad opera was the only notable one of its kind, many scholars also believe that his opera led to the popular and successful operettas of Gilbert and Sullivan. The success of the ballad opera was immediate and Gay made a significant amount of money from the opera.